The post Trouble with Your Natural Lawn? NewGrass Can Help! appeared first on NewGrass.com | Synthetic Grass is NewGrass. Anyone of these things will make it very difficult to grow a natural lawn. Also, should you be lucky enough to root your sod, you have other issues to contend with. For instance, pesticides will definitely be needed if bugs were an issue before. If your grass lacks nutrients, fertilizers will be a constant maintenance cost for you. Then there is your water bill. Growing natural grass requires so much water. And, unless you have a sprinkler system, somebody has to do the watering. Seems like artificial grass is the way to go if you want to be eco-conscious. Honestly, it’s one of the best ways to do so. Why? Well, for starters it’s made from recycled products. This reduces landfill waste. In addition, the install lowers your water bill since artificial grass requires no watering. This could really be the only reason you need to make the switch. Yes, artificial grass requires very little, if any maintenance. It will collect dust and debris so it might need an occasional spritz with a water hose. However, that’s it. So, those lawn mowers, weed eaters and other random pieces of lawn equipment you have? Sell them. That’s right, they are completely unnecessary. Also, think of the impact you make on the environment reducing greenhouse gases and pollution. Here’s a juicy artificial grass fact. After about six years or so, your yard pays you. That’s right, all of the money you spent begins to turn around and pay you back. So while your neighbors sweat it out, you will enjoy your lawn. Low maintenance, evergreen, always looking fantastic, yeah, that sort of thing. And, since most artificial lawns well outlast their warranty, you could reap returns for quite some time! Finally, there is one other consideration you need to keep in mind. The drought factor. That’s right, if you live in an arid state or any location that receives infrequent rain, drought conditions are an issue. In fact, the state of California has imposed permanent mandatory water restrictions for municipalities due to recurring drought conditions. Yet, is this a problem for natural lawn owners? If you enjoy brown grass, no. However, if you like green, give up growing natural grass. Remember, watering restrictions are so tight they really don’t allow for natural lawns to thrive. If you want a green space, you will either have to pay someone to paint your lawn or make the switch. Seems like many homeowners and commercial project managers are switching to artificial grass. So it’s easy to see why artificial grass is the alternative to growing natural grass in the face of drought. And, for the most part, people take watering restrictions in stride. Today, we are more water conscious and conservation minded than previous generations. Consequently, artificial grass supports that mindset. In fact, it is one of the most eco-conscious decisionss you can make. By installing artificial grass, you are doing your part to conserve water. In addition, you are doing your part to protect the environment since artificial grass is often made from recycled material. Furthermore, since lawn equipment is not necessary, you are reducing pollution with every bit of artificial grass you install. Will My Artificial Grass Look Real? So now that the practical and environmental benefits have been addressed, let’s tackle authenticity. Most consumers want to know how real artificial grass looks. Typically, this is because the only grass they remember is the old Astroturf used in the Houston Astrodome. That stuff looked horrible because it was only designed to cushion players knees keeping them from injury (and it didn’t really do a great job at that). As a result, it did not look very real. Thankfully today, there are numerous products on the market and technology is much better. At NewGrass, we vet our sources down to the ingredients used in our product yarn. What does this mean for you? Essentially, you get the most realistic looking artificial grass on the market. Our grass features very blade links, colors and thicknesses.We don’t and won’t ever sell poor quality artificial grass. And when you think about it, that’s essential because it’s what you are used to with your own lawn. No two blades of grass are alike, therefore artificial grass products must match that to trick your eye into seeing one uniform green space. The other thing our products have is a brown or golden thatch fiber woven into our products to resemble your natural lawn. After all, if you look at your natural lawn it’s not completely green. There are dead grass blades woven in and out as a layer of thatch. 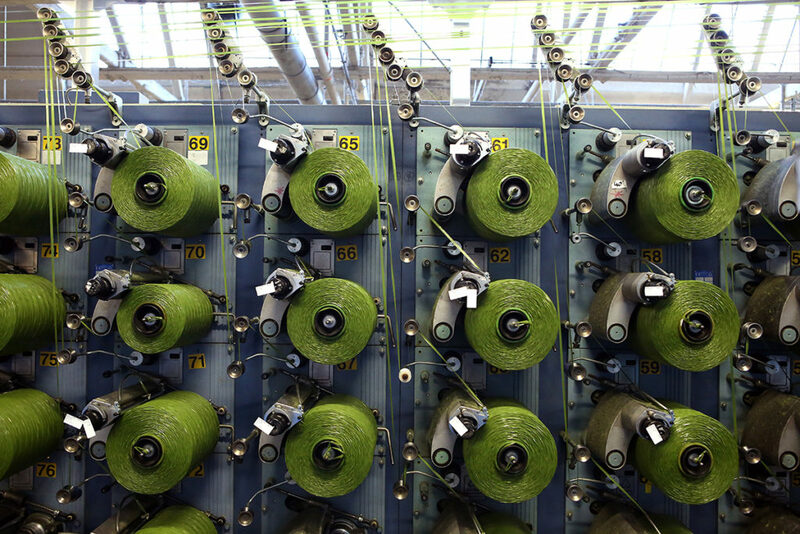 As such, we put colored yarns in our products to resemble the type of lawn your eye sees every day. The end result is people often like artificial grass better than their natural lawn for several reasons. For one, artificial grass is vibrant and colorful. Next, it remains evergreen with little to no maintenance. And finally, the returns they will reap make ditching their natural lawn same, well natural. So if you are considering artificial grass, contact us today. We have the products you need to make your space stand out. NewGrass works with all types of commercial property owners and developers. And, if you have a residential space that needs attention, we have a product to suit that too. All you have to do is fill out the form at the bottom of this post and we will get back with you shortly. We look forward to seeing how we can best exceed your expectations! The post Why NewGrass Looks Like Real Grass appeared first on NewGrass.com | Synthetic Grass is NewGrass. Often, we are asked why our artificial grass looks realistic. The short answer is we do a fantastic job of sourcing the right materials. However, the real answer requires a bit more explanation. We are going to spend then ext few minutes unpacking the specifics of why our artificial grass looks real. There are several things you need to look for in a quality artificial grass product. And since it is made just like carpet, some of the terms may be familiar to you. No, we are not referring to that constitution (though it is important for sure). There are several things about the constitution of artificial grass that distinguish a quality product from a substandard one. For instance, if you are looking for the most real artificial grass, pay attention to these items. This is a term very familiar to those in the carpet industry. Therefore, since artificial grass is made very similar to carpet, the term applies in the same manner. Pile Height refers to the length of the grass blades. Typical pile height range is 30-37mm. However, keep in mind, the higher the blade, the more likely it is to fall over in time (we all succumb to gravity). This may require routine raking to stand the blades up. That’s okay, brushing and raking are part of any routine turf maintenance plan. Ultimately, you want to make sure you don’t select a product with a pile height that will not suit your needs. The solution? Contact NewGrass. Our staff can steer you in the right direction. The most realistic looking artificial grass products have greater density.This simply means they contain more yarn fibers per square foot than other grasses. Therefore, dense artificial grass looks realistic, much mors than products with lower density.As such, they are perfect for high traffic areas. Dense artificial grass can really take a beating. if you have kids, pets, or have a commercial space with lots of foot traffic, dense artificial grass is the way to go. Of course, these products are more expensive too, so keep that in mind, however, since artificial grass is a long term investment, dense products are the way to go. Of course, if budget is a concern, you may be able to go with another one of our products by using a different infill. Again, the best thing to do is reach out to one of our NewGrass specialists. They have the skills to deliver the best looking artificial grass without blowing your budget. As for weight, that’s another consideration altogether. Dense turf weighs more so you need to be mindful. For instance, say you are installing dense artificial grass on a roof top condo. It is important to make sure the structure is able to handle the additional load. Again, our NewGrass staff can help you navigate these issues. Our products are part of installs all across the United States. Therefore, we can help you decide which turf is best for winter weather versus those suited best for arid climates. the main purpose of infill is to keep your artificial grass resilient, or “springy.” Popular choices are sand or crumb rubber infill. There are even infills designed to eliminate odor from pet waste. Speak with one of our staff for recommendations. Now let’s spend a few minutes talking about artificial grass backing. It is extremely important and one of the reasons artificial grass looks realistic. While artificial grass is not living, it does expand and contract with the weather. Therefore, the right backing is essential. Basically, there are two types of backing, polyurethane and latex. The first does not expand or contract when the temperature changes. As such, it is perfectly suited for hot arid climates. Latex backing can expand by as much as 5-10mm. Don’t worry though. Since NewGrass can be found all over the US, we can help you choose an artificial grass with the perfect backing. The end result is the a real looking artificial lawn. Most will be unable to tell the difference! As artificial grass has changed throughout the years, so has yarn quality. Early products were mad from nylon (think Houston Astrodome circa 1967). However, the nylon curled severely, resulting in a product that did not look very real. It was often a matted mess. The 1970s brought about polypropylene yarn. This actually made artificial grass look very real. The last biggest change in the 1990s saw the introduction of polyethylene yarn. The versatility of this new fiber results in a very realistic looking artificial grass product. In fact, NewGrass only uses products made exclusively with polyethylene fibers. So, if you are looking for the most real looking artificial grass products on the market, look to NewGrass. We have everything you need for your next install. Some of our grasses look like freshly cut lawns. Others resemble a yard that is a bit shaggy, but not too much. Though we are based in Fremont, California, we ship all over the United States. Contact us through our website or give us a call. We will be happy to provide samples. Trust NewGrass to provide you with the most realistic looking artificial grass. Our products have been a part of the Dreamforce conventions every year. Also, look closely at the Google athletic field. The entire field is NewGrass. Furthermore, Park Here (a community event with pop up indoor parks in New York City every winter) features NewGrass products as well. We are very familiar with artificial grass commercial application. No matter how big or challenging, turn to NewGrass for the best looking artificial grass. Our customers will tell you NewGrass can help you get it covered. The post Cooler Artificial Grass, Why You Need It appeared first on NewGrass.com | Synthetic Grass is NewGrass. Cooler artificial grass? Yes, it’s possible. In fact, it might be a necessity for you. For instance, say you live in Maine. In a northern state like that, you definitely get true seasonal weather patterns. If you have artificial grass, your mild summer creates the perfect environment for enjoying your outdoor space. Now, let’s say you live in a state like California, Arizona or New Mexico. Chances are, you have warmer temperatures year round. After all, there is a reason Charles Schultz always showed Snoopy’s cousin putting Christmas lights on his cactus in the middle of the desert. Snow is rare in hot, humid climates. So in that environment, your artificial grass could get extremely hot. In fact, the Synthetic Turf Council warns artificial grass could get as hot as 200 degrees. That’s enough to burn your hands and feet for sure. In addition, temps can escalate under normal conditions as high as 50 degrees above normal outside temps. So do you need cooler artificial grass? Yes, you do. Honestly, you should expect it. There are so many recent industry advances spanning the past 15 years, cooler grass should be the new norm rather than an outlier. And NewGrass carries a product line featuring cooler artificial grass. The secret is not a coating or additive. No, it’s the product itself. NewGrass takes pride in our product sourcing. We vet every vendor to make sure their products pass our quality standard guidelines. We do this before entertaining the possibility of using their product as one of our artificial grass ingredients. Why? Because many consumers can not spot poor quality artificial grass. As such, companies like Bonar’s Yarns are go to sources for us. 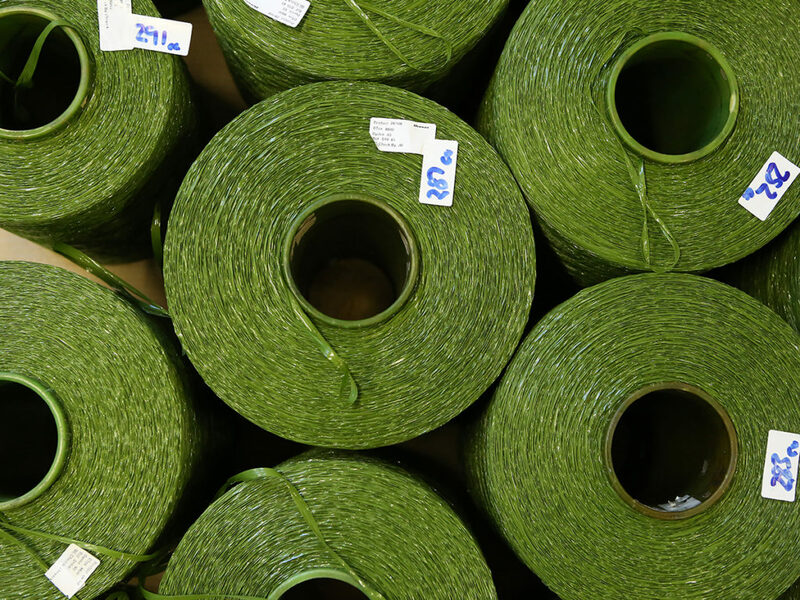 The proprietary process Bonar’s Yarns uses for production produces artificial grass yarn that keeps its cool under heat. In fact, you might only notice a variance of 7-10 degrees. That’s the power of NewGrass products equipped with Bonar Yarn’s Coolgrass technology. However, did you know you can cool artificial grass the old fashioned way? Just give it a spritz with a water hose to cool it off instantly. There is a peripheral benefit to this as well. Dust and debris removal. Remember, artificial grass is low maintenance, but not entirely no maintenance. Often, sales people will use no maintenance as a pitch to sell the product. However, an occasional spray is required to remove dust and other small debris. So if you need to cool down your artificial grass mid-day, give it a quick spritz. Another way to get cooler artificial grass? Consider putting up a shade element. There are all sorts of numerous patio sets featuring shaded tables. Also, you can purchase a lawn umbrella from your favorite home improvement store to create instant shade. In addition to these ideas, why not set up an outdoor swing with a shade awning? Also, consider incorporating a shaded arbor or gazebo into your outdoor space. There are all sorts of ways to get cooler artificial grass. However, if you have yet to start your artificial grass project, consider one of our NewGrass products with Coolgrass technology. These artificial grass products are the perfect solution for commercial applications. Cooler grass is more inviting and encourages the public to engage the space. Families can enjoy a day at the park. Also, corporations can throw epic company picnics. The list of positive uses for cooler artificial grass are endless. Furthermore, cooler artificial grass saves you money. There are several recent horror stories involving athletic fields melting due to inferior artificial grass. You don’t want to end up in one of those situations. They wind up costing millions rather than thousands. Hence, it’s best to get it right the first time. At NewGrass, we understand that. So if you are considering artificial grass for your home or commercial project, give us a try. Our sales staff will be happy to go over the benefits of artificial grass with you. In addition, they may share some of the ways artificial grass can surprise you. They are so many. In addition, we can also give you product samples to see and feel. We have the perfect cooler grass. If you are looking for a nicely manicured lawn, we have you covered. If you prefer a lawn with a bit more shag, we can handle that too. Our product line and quality are unmatched. Furthermore, our grasses won’t fade. All of our products feature UV coating which keep them looking green year round. It also helps it look more realistic too. If you have ever seen a cheap artificial grass product you know what we mean. The sheen or high gloss look only makes your yard look fake. Yet, with NewGrass products you get none of that. Our grass is designed to look green, stay green and remain cool in the hottest of weather. Remember, we are based in California so we know a thing or two about heat. So what are you waiting for? Contact NewGrass today and let us help you keep your cool. Summer will be here before you know it. As a reminder, we ship anywhere in the continental US. And if you need help finding an install company, we can point you in the right direction. We are ready to help you create the ultimate, cool green space for your next lawn project.